My name is Anne Runyan Littleford, and I am the Johnson City Chapter Director of the National League of Junior Cotillions. 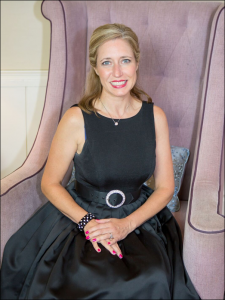 My journey to this fabulous organization first started when my children were Junior Cotillion students in the late 90s and early 2000s and ended with a suggestion to bring Junior Cotillion back to Johnson City by my friend and Knoxville Director, Mrs. Mindy Coulter. I moved to Johnson City, Tennessee when my father was transferred here more than fifty years ago with a telecommunications company for whom he was working. When I was twelve, our neighbor opened a dancing school and that experience started my love of dance and physical activity. Once in high school, I continued with dance, playing team sports, and cheerleading. I graduated from the University of Tennessee in Knoxville where I cheered for three years, held leadership roles in Alpha Delta Pi Sorority as well as other organizations and graduated with academic honors. I married my high school sweetheart immediately after college, and we have been blessed with three sons and one grandson. I taught French in Johnson City for twenty-five years and have spent the last eleven years as an elementary school administrator. My love of children and my teaching expertise should help me as I strive to make the Johnson City Chapter of Junior Cotillions a success! I look forward to learning from experienced directors and growing the Johnson City organization. Hello my name is Skyler Miller. I go to University School on ETSU campus. I run cross country and track. Some of my favorite things are pizza, playing football, and running. My reasoning for joining the National League of Junior Cotillions assistants’ program was to help children close to my age know how to be proper and gain knowledge which will help them forward in life. This was my first season directing a Junior Cotillion. I saw a need for this program after moving to the area and seeking classes for our eldest daughter. After discovering there was not an organization established in our county, I seized the opportunity and jumped in feet first. It has been an incredibly rewarding experience, not only for me but for our community. I am married to James Brannon Cook and we have three daughters – Mary Ellen, Edee and Anna James. We are members of New Covenant Church in Richmond Hill, Ga.
Monte Powell is currently a tenth grade student at Richmond Hill High School who is an active member of the National Beta club. He enjoys serving his community as he develops his leadership skills. Monte’s journey to cultivate his leadership skills begin with junior cotillion. Monte’s previous classes at junior cotillion helped Monte understand the importance of treating others with dignity and respect. 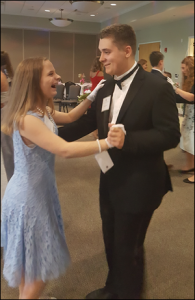 When Monte had the opportunity to assist with junior cotillion this year, he was happy to oblige to help others gain in the confidence of their communication skills that in turn will help build relationships for the rest of their lives. The skills that he learned from Mrs. Cook as he assisted with Cotillion are invaluable. Whether he is playing The French horn, piano, guitar, Mellophone, or violin or if he is helping at the sound booth at church, he uses his skills from Cotillion while strengthening his relationship building skills as he leads by serving others. 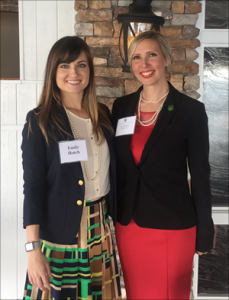 Emily Hatch and Keeli James are proud to be named the newest NLJC directors for the Rockwall County Chapter, as their passion for the arts and instructing children brought them together to serve the Rockwall Community. Emily hails from the Woodlands and received her degree in both entrepreneurship and dance from Baylor University, where she was also a member of the co-ed cheerleading squad. She and her husband Scott moved to Rockwall and currently own Rockwall Dance Academy and serves as Company Director. 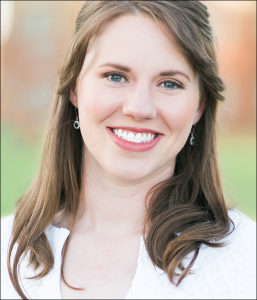 Keeli James hails from Lubbock and received her BFA degree in Music Education All-Level Certification, and began a professional performance career after college. She and her husband Blake live in Heath with their four children and Keeli currently co-owns The Acting Studio Rockwall. Emily and Keeli completed their directorship training Spring 2017 and are thrilled to bring the National League of Junior Cotillion back to Rockwall County! 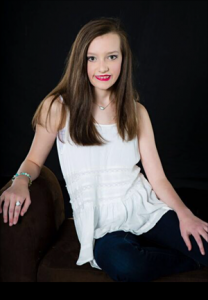 Lindy is a freshman at Dallas Christian School where she loves taking American Sign Language. This is her 11th year to take dance, and she has participated in a studio drill team for 8 years. She recently joined Company at RDA. This is her first year to participate in The Nutcracker. Lindy enjoys being involved with church youth group, baking, and going to the lake. She also enjoys volunteer opportunities working with preschoolers and helping with Vacation Bible School. 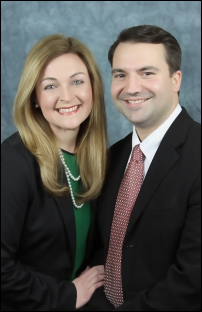 Thomas and Jennifer Ruff are the Directors of The National League of Junior Cotillion for the Polk County Georgia Chapter. Thomas is a seven year graduate of the NLJC under the direction of Sherrie Kellerman Bartow County Chapter. After his graduation he served an additional two years as a student assistant. Professionally, he is a Sales Specialist for Miura America Co. Jennifer holds a Bachelor’s degree in Communication with an emphasis in Public Relations. She also coaches competition cheerleading for their local high school. Thomas and Jennifer enjoy traveling and spending time with their son Porter McClain Ruff age seven. The two of them went through the directors training together and are extremely excited to be able to bring a program like this to their community. 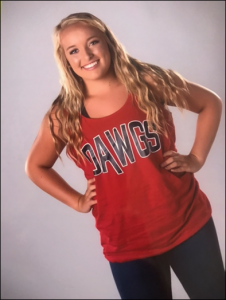 Laura Ashlee is a Senior at Cedartown High School. 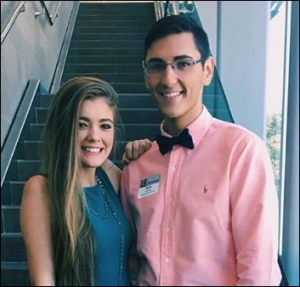 She is a member of the National Honor Society, Student Council, Yearbook staff, Skills USA, and serves as President for HOSA. This will be her fourth year as the Cedartown High School’s mascot, Mack. She is a Varsity Softball player and a Varsity Basketball Cheerleader. Her passion for people will really play a leading role in her time spent as an assistant. Michelle Woods is Director of Junior Cotillion for the Lexington District 5 Chapter. 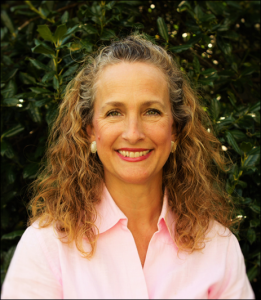 She is a former director of a national home school group where she planned, organized and ministered to families in the Irmo/Ballentine area for many years. Her husband, Rob, and five children live in the Chapin community. She enjoys teaching, reading, baking and spending summer vacations at the beach. Michelle is enjoying being a part of the NLJC family and is looking forward to continuing to help shape the future of today’s youth. Victoria Woods joined the Junior Cotillion program as an assistant in the fall of 2016. She is a ninth grader who loves to play basketball, listen to music, spend time with friends and bake cookies whenever possible. Her favorite subject this year has been government and economics. She has fun decorating her room and exploring ideas for her future. Victoria aspires to attend college and earn a degree in dental hygiene. Her favorite scripture verse says: “For this reason, ever since I heard about your faith in the Lord Jesus and your love for all the saints, I have not stopped giving thanks for your, remembering you in my prayers. I keep asking that the God of our Lord Jesus Christ, the glorious Father may give you the Spirit of wisdom and revelation, so that you may know him better. I pray also that the eyes of your heart may be enlightened in order that you may know the hope to which he has called you,the riches of his glorious inheritance in the saints, and his incomparably great power for us who believe, Ephesians 13-19. Tish Wright is a licensed director for the National League of Junior Cotillions™ in Fort Worth, Texas. Tish serves the Greater Fort Worth area including west Fort Worth and Parker County. Tish is in her 3 year of being a director for NLJC. The feeling of helping our next generation to become the men and women they are created to be has been a great joy for Tish. A graduate of David Lipscomb University in Nashville, Tennessee, Tish has a Bachelor of Science degree in Family and Consumer Sciences. She is currently the elementary librarian and high school debate coach at Trinity Christian Academy in Willow Park. Prior to her time at Trinity Christian Academy, Tish served on staff at several area churches. Tish and Charles have been married for 24 years and have two sons, Trey and JD. They make their home in Fort Worth. Jenna is a Freshman at Trinity Christian Academy. 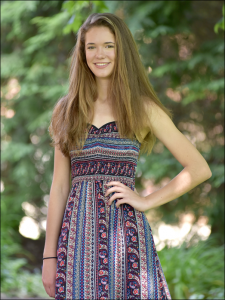 She runs cross country and track, plays basketball and is a student trainer for football as well as a Student Council Rep for the Freshman class. She is also very involved with her youth group at NorthSide Baptist Church in Weatherford Texas. Jenna is not sure of her plans after high school. Jenna was a blessing to have as a student in Cotillion and she has been even a bigger blessing since she has moved into the role of assistant. All of my students love her and she is so patient and kind when helping the students with their dance moves. JD is a sophomore at Trinity Christian Academy. He is involved at school in Debate and Youth and Government and a member of the National Junior Honor Society. He enjoying playing soccer with his club team. He serves as a cameraman on the church audio visual team. JD plans after high school to pursue a career in Law. He has been assisting his mom for the last two years. He is a great assest to our Cotillion Team. All of my students really enjoy him. He is a great dance teacher. Cyndi Chamblee and Leslie Lawrence are co-directors of the newly formed Beechwood Chapter of the National League of Junior Cotillions. The Beechwood Chapter is located in Ahoskie, NC but serves the greater Roanoke-Chowan and Southeast Virginia areas. 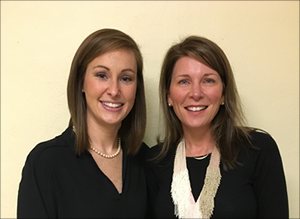 Both natives of Murfreesboro, NC, Cyndi and Leslie are deeply rooted in the area and have a special interest in the opportunities available to their youth. As mothers and businesswomen, the two recognize the importance of educating children on etiquette, social dance and interactions. The lessons and events associated with NLJC provide valuable training and opportunities not readily available to such a rural area. Cyndi, a jack-of-all-trades, wears many hats. Her days are spent between multiple offices and endless responsibilities. As a mother of three, ages 9-12, Cyndi has a bird’s eye view at the need for such training among our youth. Through her professional experiences, she recognizes the importance of etiquette and manners when interacting with others. Her passion for this program stems from the desire to improve her own children’s lives, as well as others. 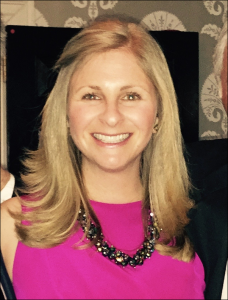 Leslie serves as the Member Services and Events Coordinator for Beechwood Country Club. She and Cyndi began working together through the Country Club, where the need for a cotillion program was recognized. By nature of her job, Leslie is constantly involved in social settings that require knowledge of proper etiquette. She utilizes this knowledge, not only to be successful in her profession, but also as a respected adult. As a new mother, Leslie is excited to educate the older children, and hopes that they will be positive role models for her own child. Cyndi and Leslie are excited to work with the youth in their home community and watch as they grow into successful adults. Tracy Hughes is a senior at Ridgecroft School and a huge asset to the Beechwood Chapter of NLJC. Tracy played volleyball, basketball and softball throughout her high school career. She has also been a member of Relay for Life, Key Club, FCA and Beta Club. In her clubs, sports and class Tracy was elected to numerous leadership roles. She is a dedicated and well-rounded individual that is an excellent role model for the students of NLJC. 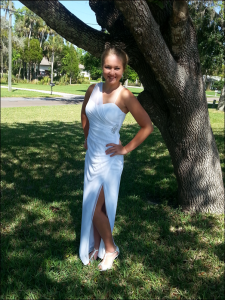 Tracy has a bright future ahead and is a shining example of the lessons learned in cotillion. 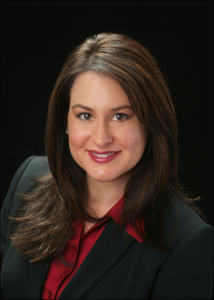 Yvette Champagne is a recognized expert in sales strategies for the gaming industry. She began her dynamic sales career after graduating with a Bachelor of Arts degree from Southeastern Louisiana University, located in Hammond, Louisiana. Yvette is certified in pragmatic marketing and has received recognition for her proven record of success with being named to the WMS Presidents Club. After her mother was diagnosed with breast cancer in 2006, Yvette was inspired to open Indulgence Boutique in Ocean Springs, MS. Her boutique specialized in fitting breast cancer survivors with mastectomy bras and breast prosthesis. 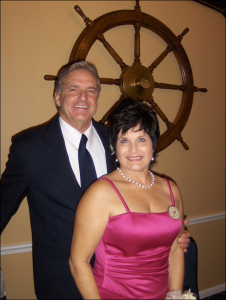 She was awarded Small Business of the Year 2008, by the Ocean Springs Chamber of Commerce Main Street Tourism Bureau. Yvette Champagne is the Director of the newly formed Mississippi Gulf Coast Chapter. 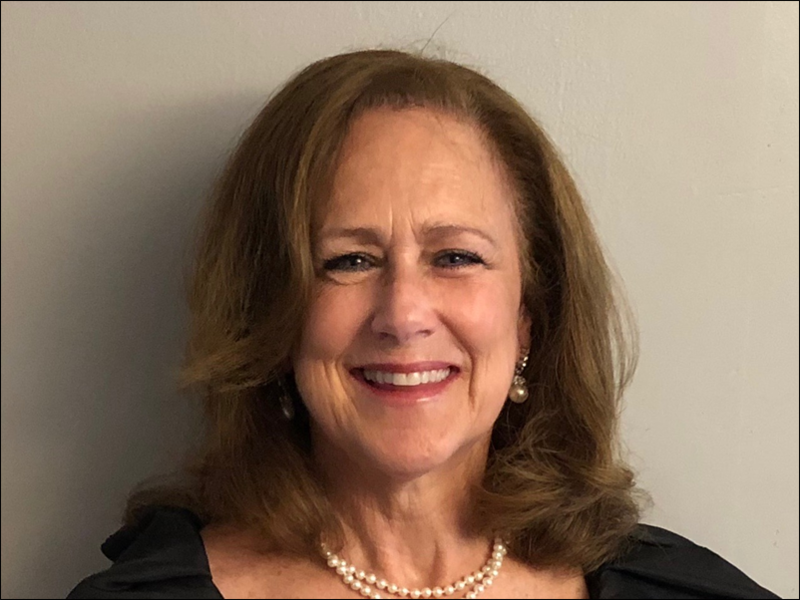 She is very excited to use her experience in leadership and communication to teach etiquette and manners to the youth along the Gulf Coast area. Being able to build and mentor tomorrow’s leaders under the direction of the National League of Junior Cotillions is an honor and privilege that she is excited to undertake. Paulina Reynolds is a freshman at Mississippi Gulf Coast Community College and is a double major in public relations and political science. While attending St Martin High School, she cheered for four years, served as the secretary of the class, participated in many clubs and service action projects, all while maintaining a 3.98 GPA. Austin Cannette is a freshman at Mississippi Gulf Coast Community College and is a double major is secondary education and biology. While attending St. Martin High School, he was the mascot for his senior year, served as the vice president, was appointed a spot on the Hall of Fame, and was chosen to be Mr. St. Martin. He currently is on the Reflections team, Student Government Association, and the Campus Activity Board at MGCCC. He is the vice president of the Reflections Team. Austin works for the admissions department at the college. He plans to attend The University of South Alabama where he will continue his education. 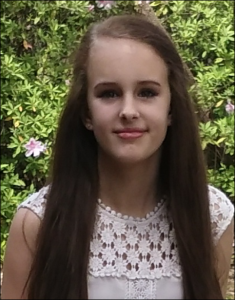 Sydney Dunn is the director of the Lost Colony Cotillion Chapter, newly formed in 2016. Based in Edenton, this chapter provides Cotillion classes in the northeast area of North Carolina. Sydney grew up on her family’s tobacco farm in Wendell, North Carolina. As a middle schooler, she attended Cotillion classes with the Johnston County Chapter under the direction of Mrs. Scott Abee (Marie). Sydney has fond memories of her time in Cotillion and really appreciates the usefulness of those skills, especially now in her professional life. Sydney and Lee have a one-year-old son, Bear. In their free time they enjoy spending time together as a family exploring the Albemarle Sound and surrounding waters. 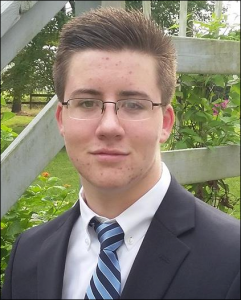 Ian Campbell is a sophomore at Northeast Academy for Aerospace and Advanced Technologies in Elizabeth City, North Carolina and is currently serving in his first year as an assistant to the Lost Colony Cotillion. His favorite thing about being a Cotillion assistant is learning the dances and teaching them to others. 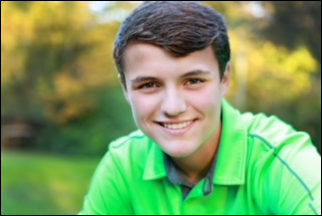 In addition to dancing, Ian enjoys reading, watching movies, exercising, and learning to play the bagpipes. His future plans include travel and a career in nursing. Whitney Donnachie is the Director of the Greater Northern Kentucky Chapter which launched in 2015. 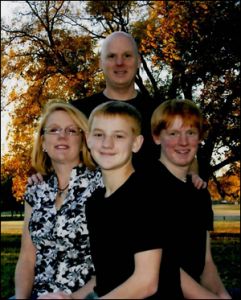 Whitney and her family lived abroad in Berlin, Germany from 2008-2011 where her children attended the Berlin British School. Her girls learned some great etiquette concepts under the British system which were not taught in U.S. public schools. After moving back to the U.S., Whitney began some basic research on etiquette classes and discovered the NLJC. At first, she simply sought an etiquette program which would allow her girls to be around families participating in similar programs. Whitney valued the lessons on proper table manners and etiquette, which she knew would add to the girls’ confidence, but she also wanted them to learn about offering grace and kindness to others who perhaps did not know how to use the proper tools. Whitney eventually found a program, but it was 94 miles away! As it was too far away, she decided to start her own program. The Greater Northern Kentucky Chapter had 54 students from 5th through 8th grade during the inaugural year. The program has grown quickly in one year. During the 2016-2017 season, there will be three classes to include Season I (5th grade), Season II (6-8th), and a high school program. Whitney is passionate about providing the critical skills to young adults which will allow them to succeed in all of their social and professional endeavors over their lifetimes. Whitney is originally from Knoxville, TN. She graduated with a Bachelor of Science from Tennessee Tech and later earned her radiologic and sonographic certifications, which she practiced until her children were born. She is married to Craig Donnachie, an FBI Special Agent. Craig’s occupation has taken them from New York, to Washington D.C., and to Berlin, Germany. They now live in Ft. Mitchell, KY. They have three daughters, aged 14, 12, and 10. Whitney is an active volunteer in her childrens’ school and loves teaching Sunday school to a sweet group of 2nd graders. Whitney’s goal for the program is to see her passion for manners better the lives of children in the community, making them confident, aware, and compassionate. In today’s digital environment, it is important to maintain focus on personal relationships and interaction. We want Cotillion to be relevant, but we also want the kids to have fun building new friendships. This kind of training will always be relevant in the ever changing world. Regardless of how interconnected the world becomes, those who know how to build relationships will always be successful. The best part of this job is watching children grow from being anxious to gaining confidence priceless! Diane Brooks has been an NLJC director since 2003. Her Chapter includes the Golden Triangle area of three small town near Mount Dora, Florida. 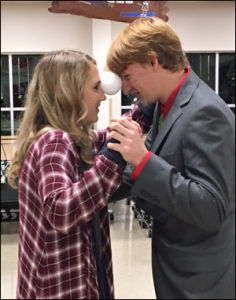 “There are many things I love about Junior Cotillion. The delightful dances, the outgoing people, the awesome activities and, of course, the learning of proper etiquette, all highlight the Cotillion experience. However, what speaks to heart and give me hope is that it’s still possible to be classy and confident in a world buried in immodesty and mediocrity. My eyes are open. Junior Cotillion gives me and advantage in life. I know this because ever since I began I now enjoy deeper friendships, new and exciting social perspectives and most importantly, boldly sharing with others these skills and their importance. 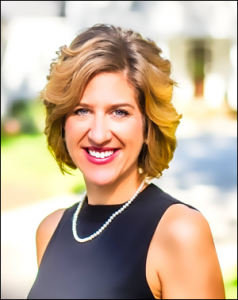 Britton Cohn has been the Director of the Charlotte, NC chapter of the National League of Junior Cotillions since 2013. Britton became involved with the program as student in 1994 when her mother, Jan Cohn, started the Columbia, SC chapter of the NLJC. She completed the program, and has been helping her mom ever since (21 years and counting). Britton was very excited at the chance to become the Charlotte Director when the opportunity became available. During the past 3 years, over 1,400 local middle school age students have participated in her program. The Charlotte Chapter’s popularity has increased over the years to the point that the majority of students enrolling come to the classes as legacies and referrals. Britton is originally from Columbia, SC. She graduated with a Bachelors of Science in Journalism from the University of Oregon and a Masters in Speech Pathology from the University of South Carolina. She works in various rehabs and nursing homes around the area. Britton also had the wonderful opportunity of working as an English teacher in Japan for 2 years. Britton has a passion for the importance of manners and etiquette and their place in today’s world. She brings that passion outside of the Cotillion program to several non-profit organizations. Her favorite is volunteering every week with the Mitey Riders program. It’s is an organization that helps enhance the lives of children with disabilities through equine therapy. Hannah Raleigh, Abby Scheper, and Emma Love, have been with the NLJC Charlotte program for over 7 years. 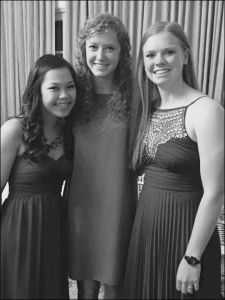 All three have been Lead Assistants and represent the excellence of the Cotillion program. These ladies’ leadership skills, kindness and hard work have helped impact the lives of over 2,000 middle school students in the Charlotte Area. Hannah, Abby and Emma are all graduates of the Class of 2016. Hannah will be attending the University of St. Andrews in Fife, Scotland in the fall, where she has been awarded several scholarships based on academic achievements and community involvement (Blink Eyecare Scholarship, Piedmont Scholarship and one of ten ArdreyKell High School PTSO scholarships). She will be double majoring in Neuroscience and Social Anthropology. Abby will be attending NC State University where she received the Park Scholarship, a full academic scholarship that is awarded based on the principles of leadership, service, and character. She will be majoring in biology with an integrative physiology and neurobiology intent. Emma will be attending the University of North Carolina Charlotte where she has been awarded several scholarships from her high school and her church based on academic achievements and community involvement. 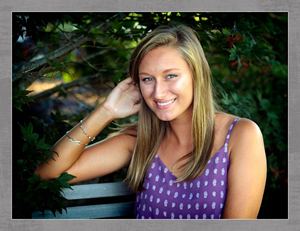 She will be on the UNCC track team, specializing in throwing field events as well as pursuing a nursing degree. Overall, these are outstanding young ladies who will continue to use their Cotillion skills to achieve great success. It has been a true honor to have their help as Assistants over the past 3 years.